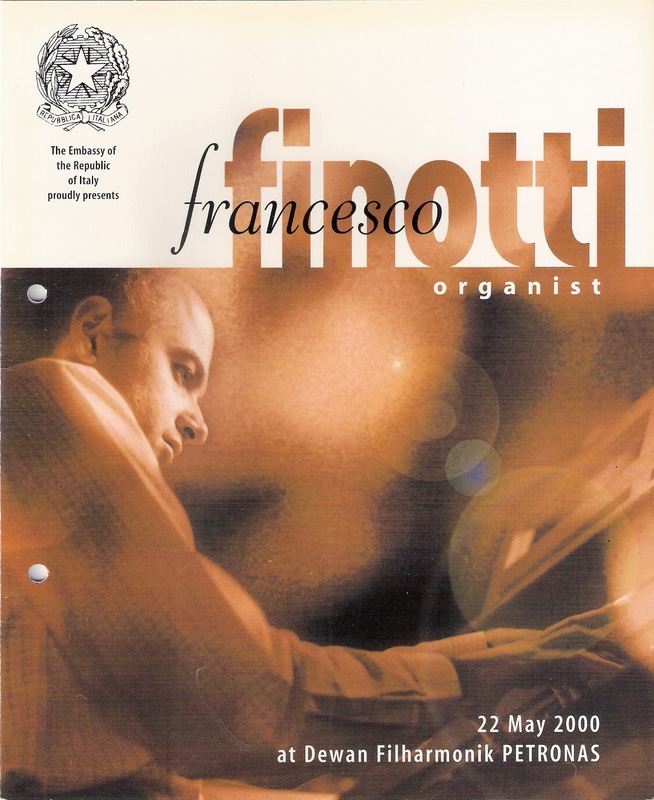 In those heady days when the Dewan Filharmonik PETRONAS organ used to get its frequent moment in the spotlight, we called in some pretty varied organists. In the first couple of seasons all the usual British suspects were there; Gillian Weir, Simon Preston, Thomas Trotter, Wayne Marshall, all gave it a whirl with varying degrees of success. Sadly, an audience completely unacquainted with these "stars" all gave it a miss too, and we had to rethink the whole organ programme. Someone hit on the bright idea of offering various embassies and consulates in KL – after all DFP is on the edge of the city's diplomatic quarter – the chance to host an organ recital at the hall featuring one of their national organists. The idea was that the embassy would fly in and accommodate the organist and we would throw the hall doors open to their guests who could then attend an embassy-hosted function. We also opened the doors to the public for these recitals, who were treated to some names as alien to me as Weir, Preston, Trotter and Marshall were to the average Malaysian. First up came the Embassy of the Republic of Croatia who brought in Ljerka Očić. 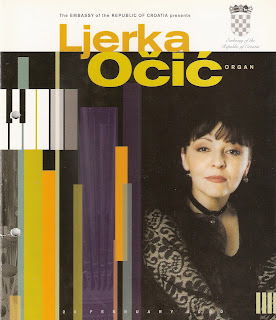 She included, amidst a plethora of such warhorses as Toccata & Fugue in D minor and Widor's Toccata, a piece by a Croatian composer, Franjo Dugan. The following May the Italian Embassy brought in Francesco Finotti who showed his national pride by avoiding Italian composers like the plague in a programme of classics by Bach, Schumann, Franck and Liszt (true one of the Bach works was a transcription of a Vivaldi Concerto). A few other immemorable names came along, but the idea fizzled out within a season. The chance to hear organists whose reputation had never previously reached me was one I relished, but how disappointed I was that they were so reluctant to showcase music from their motherlands; it seemed a wasted opportunity and I was surprised that, in events tagged as presentations from foreign embassies, more encouragement was not given to include the works of native composers. In Asia, Malaysia and Singapore are never slow to promote their own composers (even when their music barely warrants serious attention), but clearly in central and eastern Europe things are very different. However the visiting organists usually presented me with a CD or two, and in the case of Ms Očić one of these was something of a curiosity. 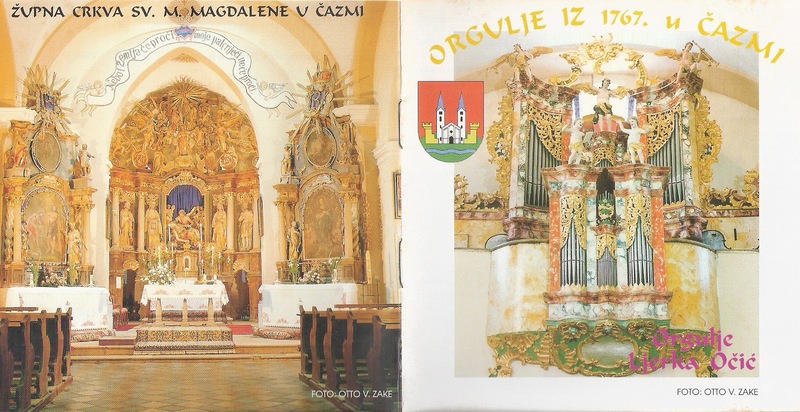 Leading to the quotation and investigations of the late professor Ladislav Saban, the organ in Čazma takes a special placement in the cultural Croatian history. Under the maintained organs from the 18 century this one is one of the finest arts that has remained fascinating with its original polichromy, rich with gilding decorative elements and nice sculptures of musicating angels one of the rare instruments that was acquired in Vienna. 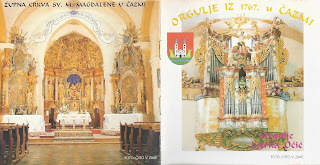 The organ was delivered in 1767 to Čazma but on them there was not noticed the constructor. With the method of comparison it was established that it has been deposited posthumously of for the piece of work of the famous Viennese constructor ]ohann Hencke (1697 - 1766), in spring 1767 in Čazma by his son-in-law and inheritor Anton Pflieger. The organ has a medium magnitude, it has 14 registers, two mannuels and a self-standing musical performer. This instrument is nearly completely authentic preserved. Translations don't get any better than that! I wonder if I can qualify as a "self-standing musical performer"? The disc itself hardly impresses. 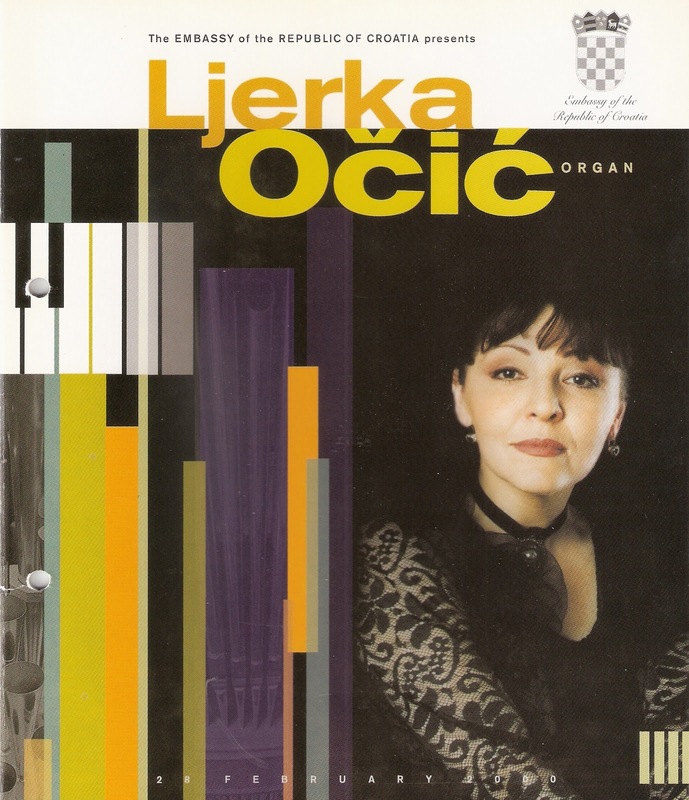 The organ has a harsh and unforgiving quality which is only exacerbated by the pungent temperament, and Očić's playing is sound but uninviting. Clearly there is organ music in Croatia and clearly there are Croatian composers other than Suppé, but it appears national pride doesn't extend to letting them loose on the outside world.